Now, as Dax and his fellow Perfect Gentlemen unravel a web of lies, he discovers his family’s tragedy is part of a much larger conspiracy. Soon, all clues point him back to New Orleans…where Holland waits, protecting her deadly secret and holding a torch or the only man she’s ever loved. If you haven’t read this book yet, run to the nearest retailer and grab yourself a copy because this book is brimming with explosive passion, destructive secrets and gut-twisting emotions, and will take you on the ride of your life! As the story unfolds, you can see the wave of pain and heartbreak coming, but you know you’ll have no choice but to ride it to get to the beauty on the other side! Dax Shepherd thought his father’s alleged suicide and the scandal preceding it were the lowest points of his life, until the woman he loved betrayed him and left him, but he got his payback in the cruelest way possible and put her behind him. Or tried to. Now, new information has surfaced that supports his belief that his father was framed and killed as part of a conspiracy bigger than they ever imagined, one that has already taken the lives of their loved ones and has the potential to do great damage to lives and legacies. 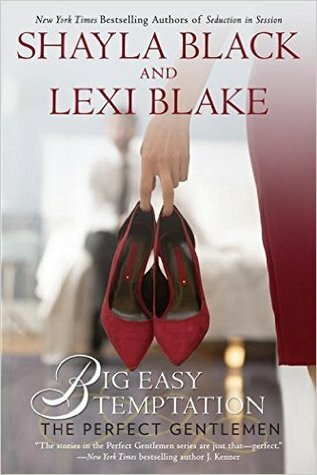 Dax is determined to clear his father’s name and then get to the bottom of this plot, but first he must face to woman who broke his heart years ago. Caught in a sticky web, Holland Kirk gave up her chance for happiness with Dax to protect him and for that, he paid her back by breaking her trust in the worst way. Now he’s back to re-open the investigation into his father’s death and she has no choice but to work with him again. I love Dax and Holland so much. Holland is confident and tough, except when it comes to Dax. Dax is alpha to the core, protective about his loved ones and really sweet, but I especially love that he didn’t play games with his feelings for Holland and put himself out there, even after he hurt her so badly. They bring out the worst and best in each other and their tumultuous relationship was heartbreaking, especially because of the manipulation if external forces that led to stupid decisions that cost them their happiness. I love everything about this book: the characters, the dialogue, the emotions, the bonds among them and the unending mystery. Just when you think that the authors have given you the best they have to offer, they top it with this. There are more questions than answers at the moment and I can’t wait for the next book to see how Gus wreaks havoc on the emotions of an unprepared Perfect Gentleman!